As the Washington Nationals kick off the 10th season at Nats Park, the neighborhood looks nothing like it did in 2008, and, by many measures, it has been the fastest-growing neighborhood in the District. 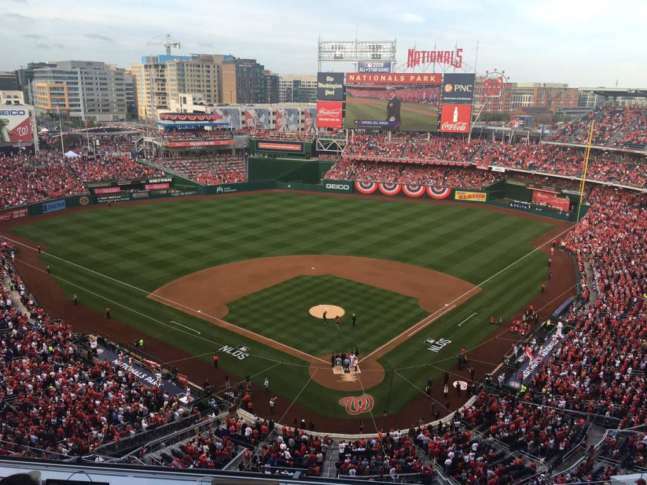 WASHINGTON — It is easy to paraphrase “Field of Dreams” when referring to Nationals Park and its surrounding neighborhood, but “build it and they will come” isn’t necessarily the order in which the groundwork for the area’s explosive growth was laid. As the Washington Nationals kick off the 10th season at Nats Park, the neighborhood looks nothing like it did in 2008, and, by many measures, it has been the fastest-growing neighborhood in the District. But once the ballpark opened, its magnetic draw added even more fuel to the Navy Yard’s development fire. Developers who have jumped in will tell you the ballpark is most certainly one of Capitol Riverfront’s centerpieces, but it was not the catalyst that ignited its growth. “The ballpark is a fun perk, and certainly some folks will choose to move to this district because they are big Nationals fans, but the ballpark was not a primary driver for our investment decision,” said Jon Carr, senior vice president of development at Grosvenor, which recently opened its F1rst luxury apartment building at the corner of First and M streets in Southeast. Carr said access to the water, the vibrancy and usability of the parks, the transportation infrastructure, proximity to Capitol Hill and the potential in retail and entertainment offerings were all attractive reasons for Grosvenor and other developers. “We believe the neighborhood is one of the very best examples of today’s preferred lifestyle balance inside D.C.,” Carr said. And the neighborhood most definitely is still growing. Based on current projections from the Capitol Riverfront Business Improvement District, the neighborhood’s current population of 6,000 residents will double by the end of 2019. And the development has not been limited to residential. Already, 34,000 people work in the area. There are also more than 20 retailers in Capitol Riverfront now, and a Whole Foods opens this fall. And at least one residential building and restaurant opens every month. 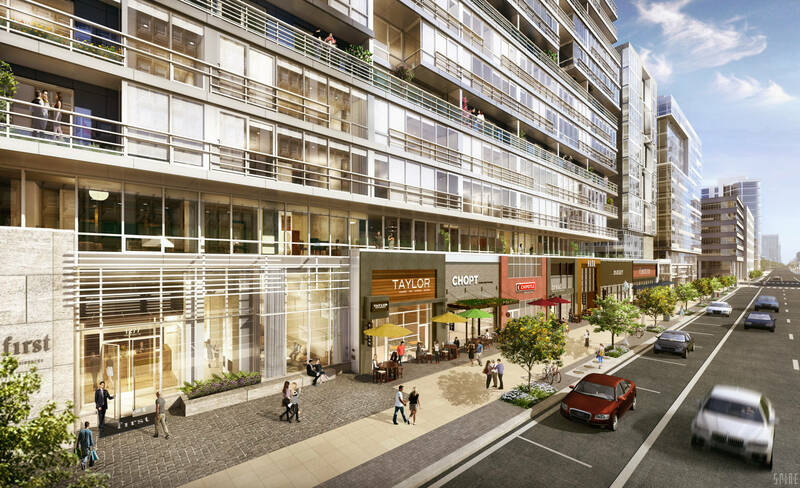 There are also three new top-end, Class A office buildings under construction, including the future headquarters of DC Water and the National Association of Broadcasters. On the residential side, Capitol Riverfront’s apartment buildings currently include 3,800 apartments with another 2,300 new units in seven buildings currently under construction. Apartment buildings in the pipeline, expected to begin construction this year, will add another 2,500 units, according to the Capitol Riverfront Business Improvement District. Condo buildings in the neighborhood include 800 units, with another 140 under construction and 375 that will break ground this year. From a sheer structural standpoint, there are now 20 apartment or condo buildings occupied, six others under construction, and another 14 that will break ground soon, BID said. One of the newest apartment buildings to open even has rooftop stadium seating looking down into Nats Park. There is also now 6.2 million square feet of office space, 64 retailers occupying 330,000 square feet and another 250,000 square feet of retail under construction. For residents, office building workers and Nats fans attending games, there are now 36 restaurants with another 16 that will open this year, including beer garden Dacha, All-Purpose Pizzeria and District Winery — D.C.’s first urban winery. Bardo Brewery and Shake Shack are the newest additions ready for opening day. The neighborhood has attracted almost every A-list Washington developer, including JBG Cos., Forest City Washington, PN Hoffman, Donohoe, Grosvenor, Bozzuto, Douglas Development, Monument Realty and MRP Realty. The Donohoe Companies Senior Vice President Bob Donohoe said they had originally envisioned an office building or hotel for the area, “but residents continued to move in, the ballpark opened, the retail offerings kept expanding and we switched our plans to apartments to meet demand,” Donohoe said. Donohoe’s Insignia on M luxury residences recently opened at 1111 New Jersey Ave. in Southeast. For visitors, there are now four hotels in the Capitol Riverfront and Navy Yard neighborhood. By the time the Nats kick off their 11th season at Nats Park next year, there will be 3 million square feet of mixed-use development in the Ballpark District alone, a three-block area immediately adjacent to the ballpark. The neighborhood also has more than 10 acres of parks, some of them waterfront, that include winter ice skating at Canal Park, the Diamond Teague Park with public piers for canoes and kayaks and access to the 20-mile Anacostia Riverwalk Trail system for bikers and runners. 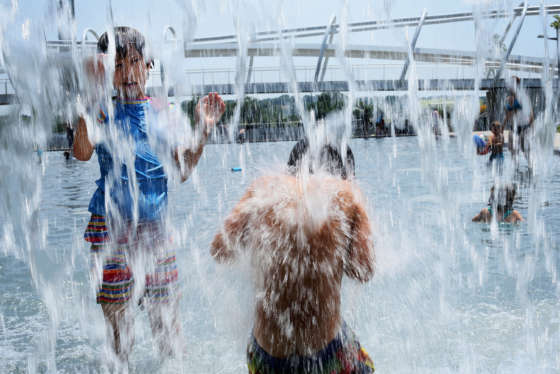 “We have the density of many neighborhoods but an outdoor feel as well with great parks and access to the riverfront,” said BID CEO Michael Stevens. The neighborhood has a “gritty-with-a-soul” feel, he said, because of the renovated historic industrial buildings. Of course, when it comes to activities, there is always the home team to root on. The neighborhood’s Green Line Metro access has also been a catalyst for its growth. A recent report commissioned by the Capitol Riverfront BID noted the D.C. section of the Green Line has captured about half of the District’s retail development since 2010, and the Navy Yard-Ballpark station alone will add the equivalent of 1.5 CityCenters’ worth of retail development by 2019. All of this on barely 500 acres between Interstate 395 and the Anacostia River, one of the most densely developed areas in the District and almost all of it within the last decade.